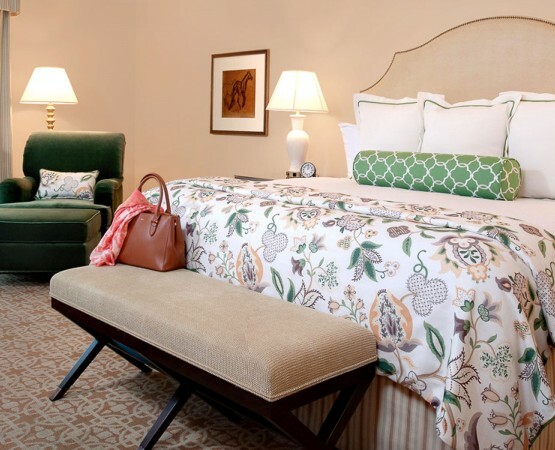 Thoughtful room amenities and classic decor greet guests at the Stanford Park Hotel. 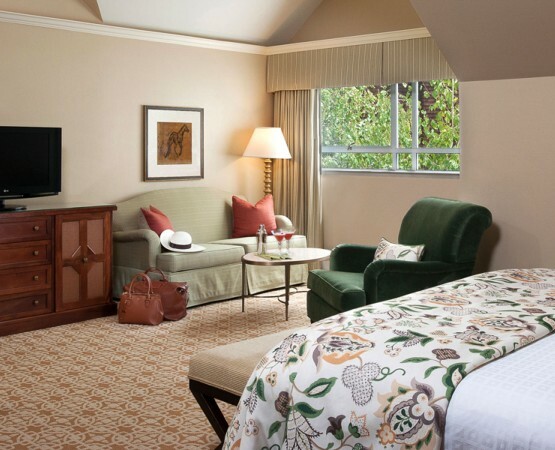 Where understated elegance welcomes you like a familiar second home, your perfect Silicon Valley sanctuary awaits. 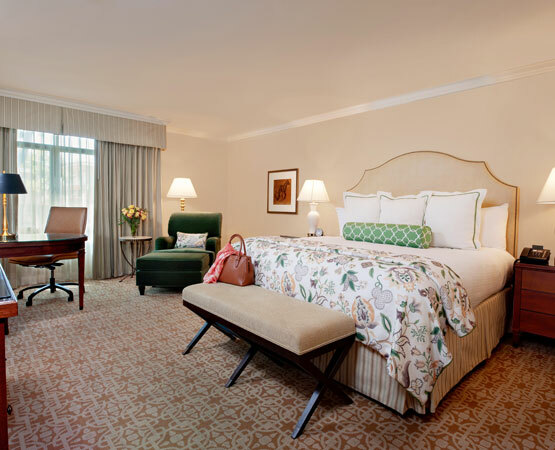 Sophisticated and elegant, our deluxe guestrooms feature a relaxing seating area with table, a large working desk, and a double granite bathroom vanity. Some rooms feature a wood-burning fireplace. Square footage varies**. 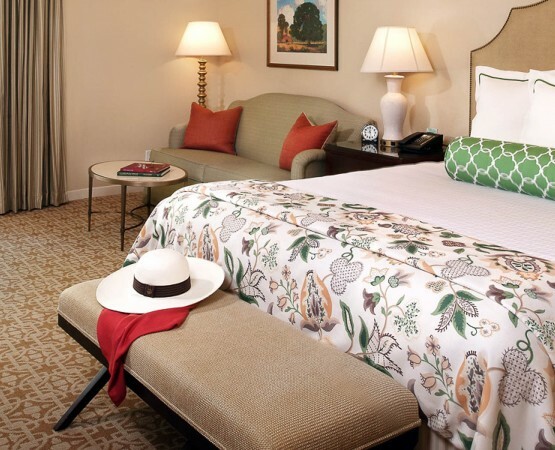 Our popular Courtyard Rooms provide serene views of our lushly landscaped courtyards and walking paths. This elegant and spacious guest room has large windows that offer plenty of natural light and fresh air, as well as a seating area and large desk. Some rooms feature a double granite bathroom vanity or wood-burning fireplace. 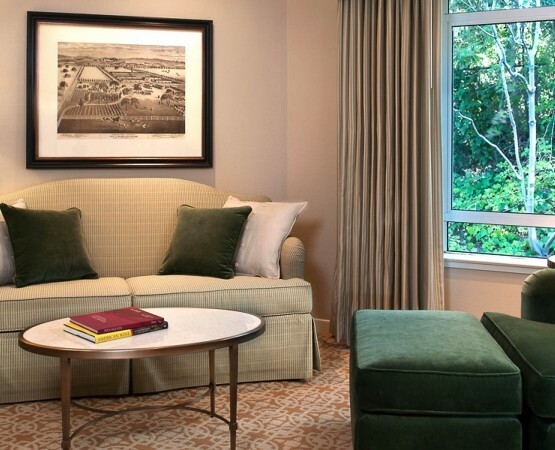 Popular among families and business travelers who desire extra room, our elegant Parlor Rooms are relaxing respites with nearly 600 square feet of space, including a spacious seating area, chairs, coffee table, large working desk and double granite bathroom vanities.